CONVENIENT LOCATION! POOL COMMUNITY! NICE YARD! WELL-KEPT HOME! 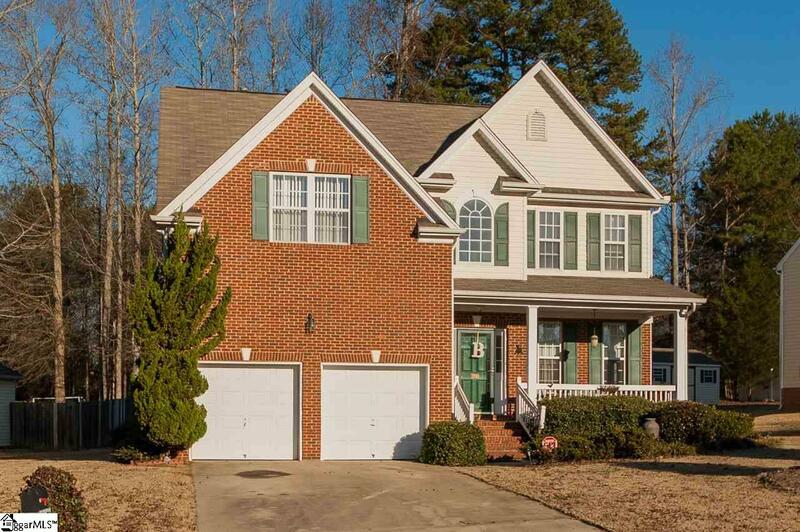 GREAT PRICE (reduced $20K) for ALL! Easley is a growing small town, just a few minutes out of the GREENVILLE METROPOLITAN area, as well as convenient to Clemson or Anderson. This COMMUNITY of quality homes was built by D.R. Horton Homes and has remained consistently well maintained. The Community has a common playground, a clubhouse and a community pool, so you dont have to worry about installing and maintaining your own pool! The YARD is easy to maintain with the full irrigation system, and a nice play area for children in the basically flat back yard. 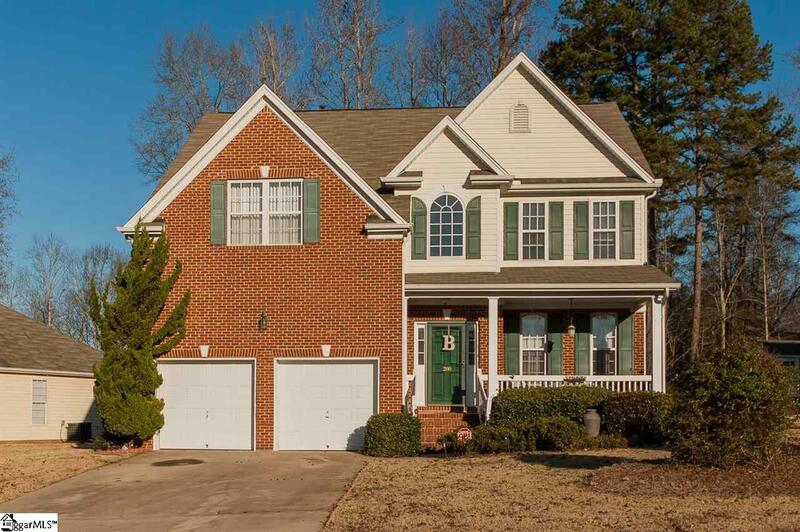 The HOME itself has great curb appeal with its brick front and spacious front porch. 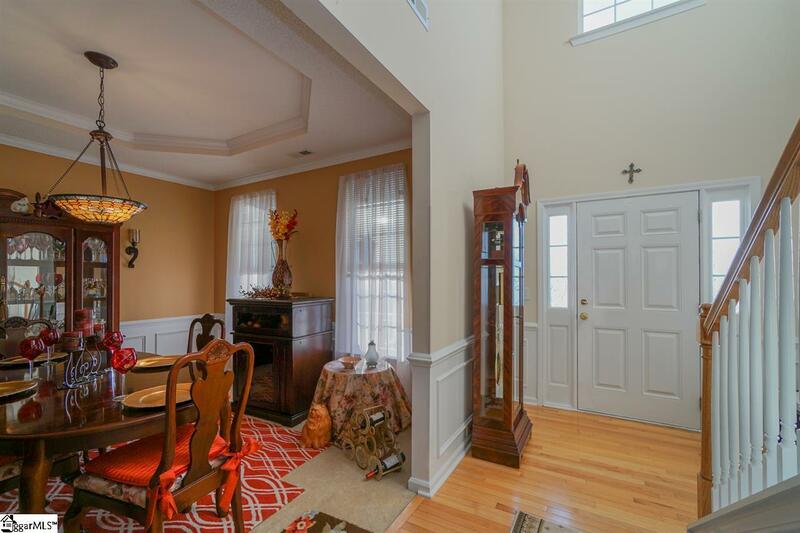 You are welcomed to the interior with a 2-story foyer and hardwood flooring with a beautiful stained-glass light fixture, coordinating with the one in the adjacent Dining Room. This spacious floor plan is sure to please all buyers, with the Family Room and its beautiful gas-log fireplace with marble hearth and white wood-surround being open to the Kitchen and Breakfast Room . The white Kitchen has kept everything light and bright in the area, but also the light neutral wall colors mainly throughout are light-reflecting. Also on the Main Floor is a Guest Bedroom Suiteevery home needs at least one bedroom on the main level! The second level accommodates the nice large Master Bedroom Suite, as well as 2 other Bedrooms, another bathroom and a Bonus Rooma room for EVERYONE and EVERYTHING!!! There are two HVAC Systems (gas heat and electric central AC) to make the home more comfortable, plus more energy efficient. There is also a gas hot water heater (5 years old). 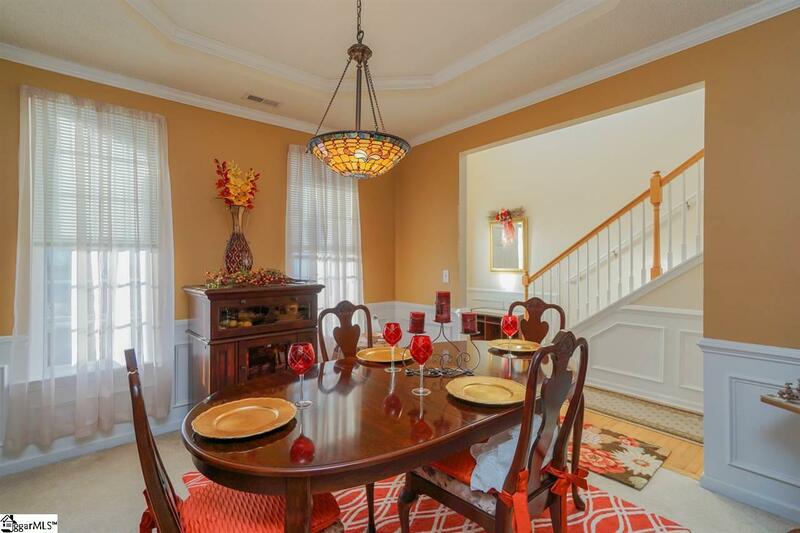 The lighting exterior and interior has been upgraded by sellers with a beautiful high-quality lighting/fan package. Only one family has owned and lived in this home. REDUCED $20K from ORIGINAL PRICE and PRICED RIGHT TO SELL!!! ($1000 allowance for new deck flooring/pickets at closing for the buyermust be stipulated in contract.) Square footage & measurements approximate. If SF is important to buyer, buyer must verify.